There are not many nursing roles where you get the opportunity to be there for your patient’s one on one. Fertility treatment is a huge emotional journey for our patients and it is a privilege to be able to share such a personal journey with them. It’s one we never take for granted. We are also very privileged to work with a wonderful team of specialists, scientists, and administrators. One department cannot function without the other and we are all working together to achieve the same thing. We are very lucky to have a primary nursing approach at Fertility Solutions; there are not many clinics that adopt this method. With primary nursing, we strive to ensure that patients very rarely see more than one nurse throughout their treatment, unless this is requested or if their primary nurse is on leave. This enables the primary nurse and their patient to establish a really good rapport and enables us as nurses to take our patients ‘under our wing.’ Our ultimate aim is to provide them with exceptional service. We start the journey by seeing the patient for a new interview or first visit. This is where we talk about their fertility history to date, the treatment options that appear most suited to them, and advise them on the next step, if they wish to move forward with fertility treatment. 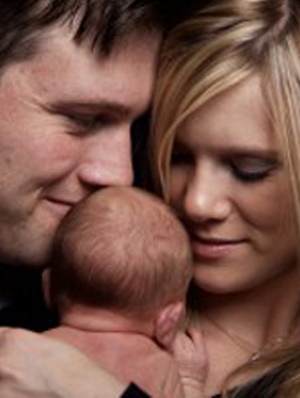 The next meeting with the patient at Fertility Solutions is generally a follow up appointment. Usually at this stage, after seeing their fertility specialist, the patient is ready to start treatment. The planning begins. We discuss what is involved in the treatment they are having: the good and the not so good. At this stage, the patient is assigned to their primary nurse, this is usually the nurse that they see at follow up, unless it is requested otherwise. A normal day for us consists of taking patient phone calls, answering voicemail messages, reading and returning emails, and liaising with all members of the Fertility Solutions team. We also check blood and scan results, interpret them, and explain the results over the phone. We plan and co-ordinate every treatment cycle and ensure that everything has been completed as and when it needs to be. We have regular nurses meetings, clinical meetings and lab meetings. We are also in constant contact with the patient’s specialist asking for their input into the management of the patient’s cycle. This enables us to work as a team. We share the patient’s entire journey with them and we are there for them if and when they want to talk. We are there for them when treatment works and when it doesn’t. We are there to give advice and to guide and to help them through the obstacles that can get in their way. We are problem solvers, carers, planners, organisers, and patient advocates. This is a career that we would consider to be one of the most emotionally challenging and one of the most rewarding. Like with patients, it is also an emotional roller coaster for the nurses, too. Sometimes we get days that seem to just be full of bad news: you hear of someone’s cancelled treatment cycle, someone’s negative pregnancy test, or someone has had a miscarriage. Then we will get a day when we have positive pregnancy tests, followed by news of babies being born and babies being brought into see us for a cuddle. We have shared the journey, we have seen the heartache, and at times we have felt helpless. When we hear the news that a baby has been born (and to finally meet the little person) makes this the most perfect job in the world. Even if a couple’s fertility treatment is unsuccessful, as a fertility nurse we feel we have made a difference. Patients often say that despite the outcome, they still feel supported and cared for and feel that they can now move on with their lives knowing they were offered a real chance.